What to pack for a trip to Paris? 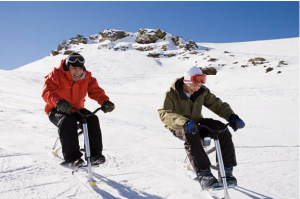 How to plan ski holidays with friends? What to visit while studying in Paris? Going on holiday with friends is not the same as going on holiday with your family. However, holidays with friends still need planning, and especially ski holidays. According to the number of people and the activities you want to do, you will not plan your holidays the same way. Here is some advice to prepare your ski holidays with your friends. 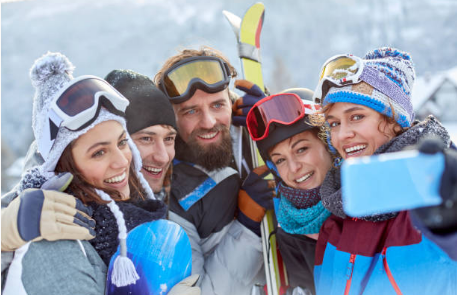 First of all, when you know exactly how many people are going on holiday with you, you need to book the accommodation in Les Menuires, Val Thorens or any ski resort you might want to visit. This is the most important thing to do but also the most expensive. This is why you need to do this first as it might determine what else you will do during your holidays according to the money you can spend. Here is another tip if you and your friends want to go every year, or several times a year, in a ski resort. You might want to check the properties for sale. This way you could save money in the long run. Somtimes, in small ski resort like St Martin de Belleville, there are some nice properties for sale. When you know where you will stay you can start to look at the activities you will do once you are there. As a group, you might get some discounts but you would have to book in advance, that is why you need to look things up as soon as you decide what to do. For those who want to ski but do not have their own equipment, you can rent it and the earlier, the better. You might indeed get some discounts as well but mostly, you will be sure that you will have the proper equipment and for the whole vacation. Finally, what will be left will be the organization of daily life during the holidays. In some ski resorts, you can have some delivery services for groceries for example. This might save you some time but will add an extra fee. You can also make a list of what you will need and do the shopping in advance to save time. The best option is to plan all the meals and shop accordingly. With this solution, you buy only what you need and this helps you save some money. Copyright 2015 France travel. All rights reserved.